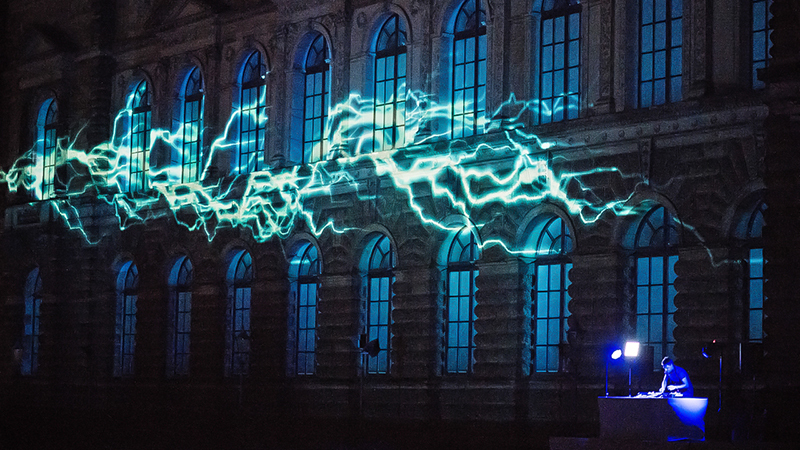 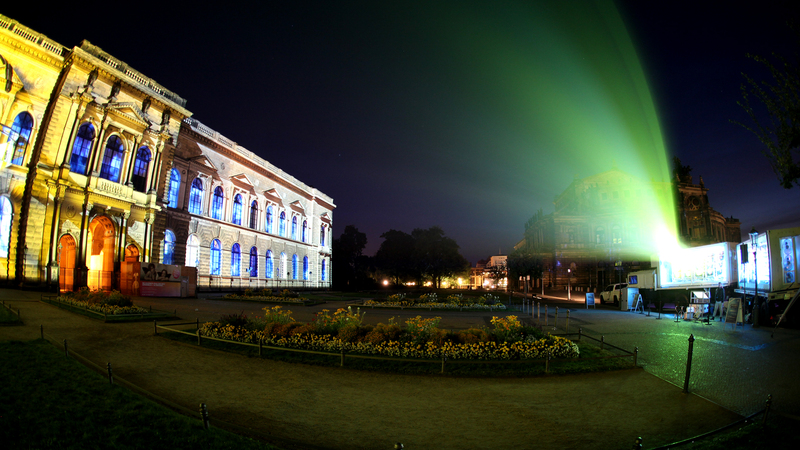 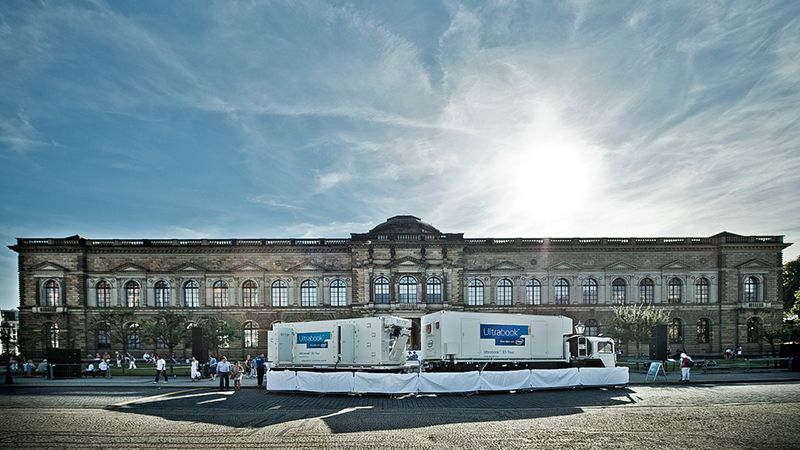 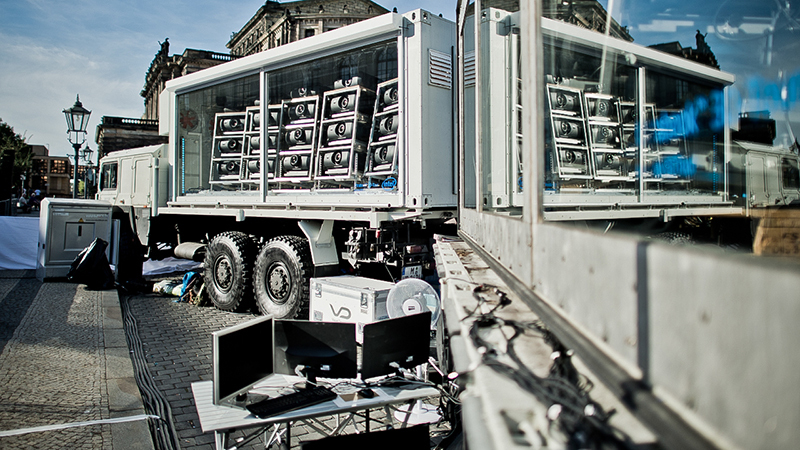 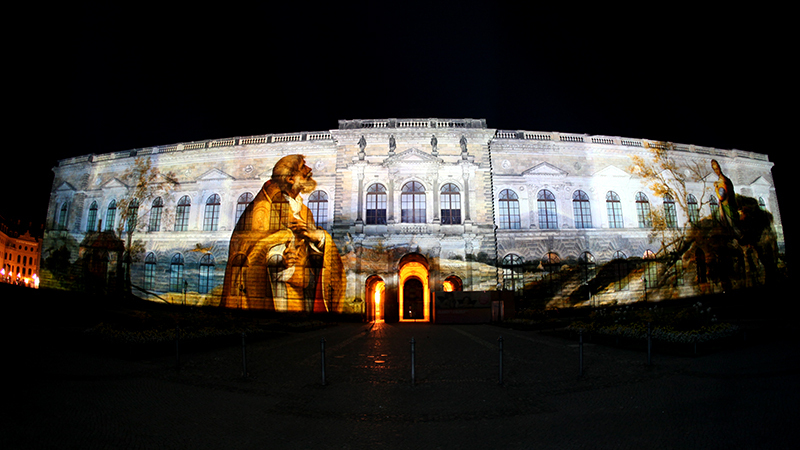 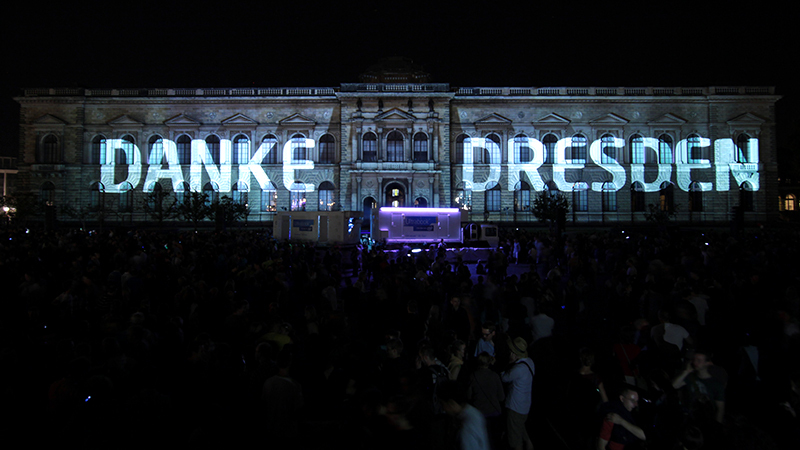 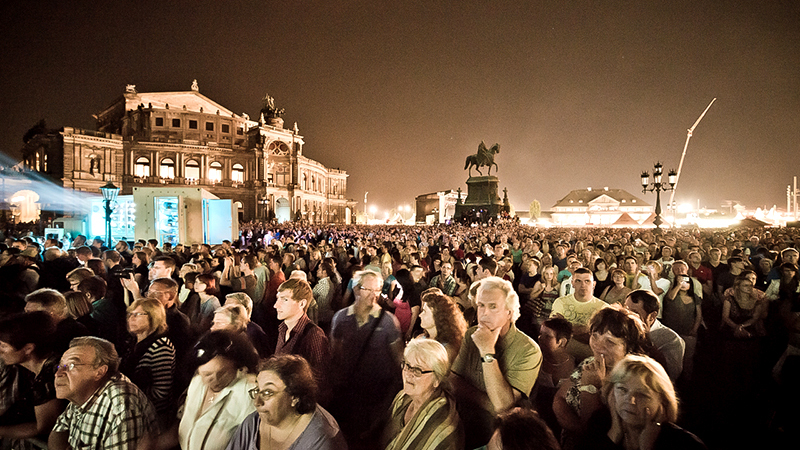 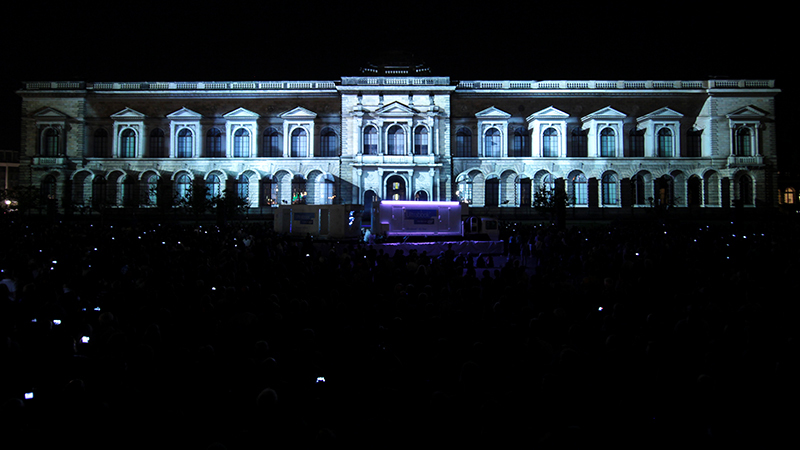 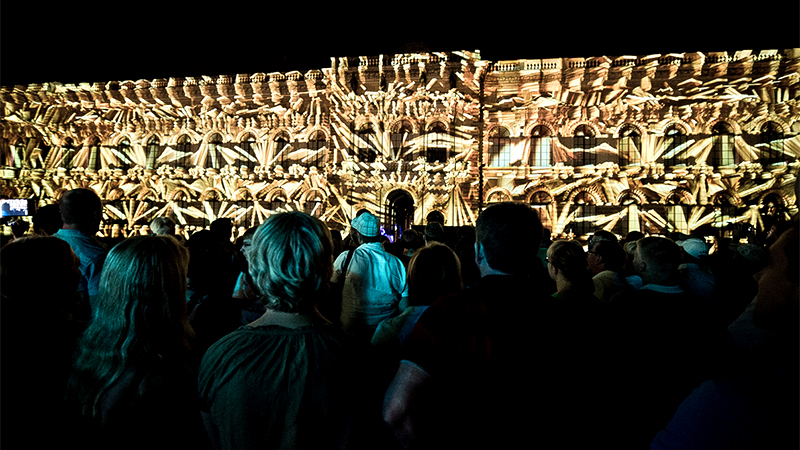 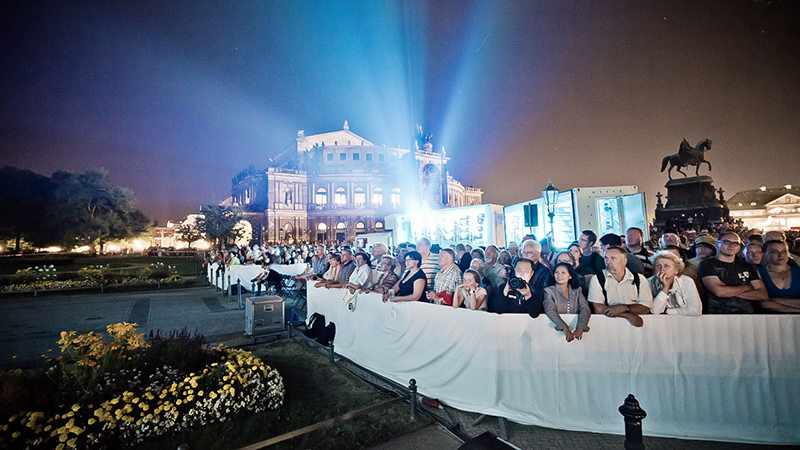 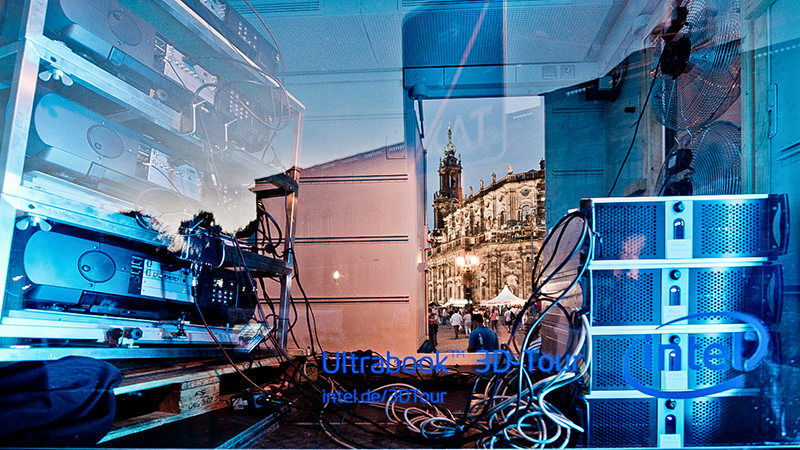 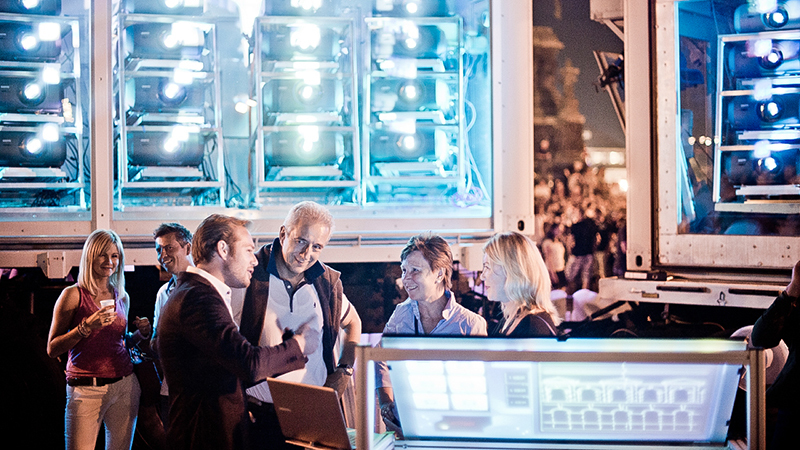 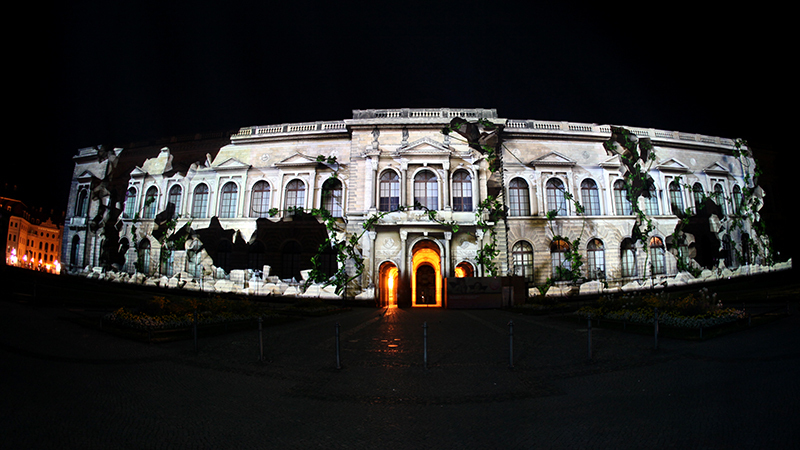 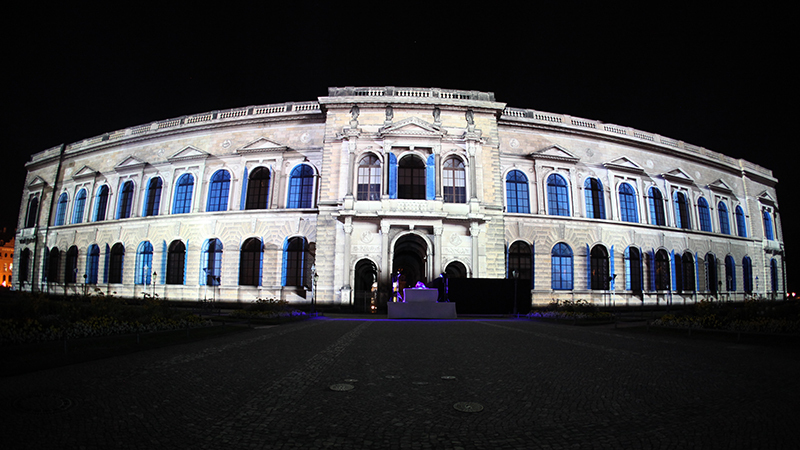 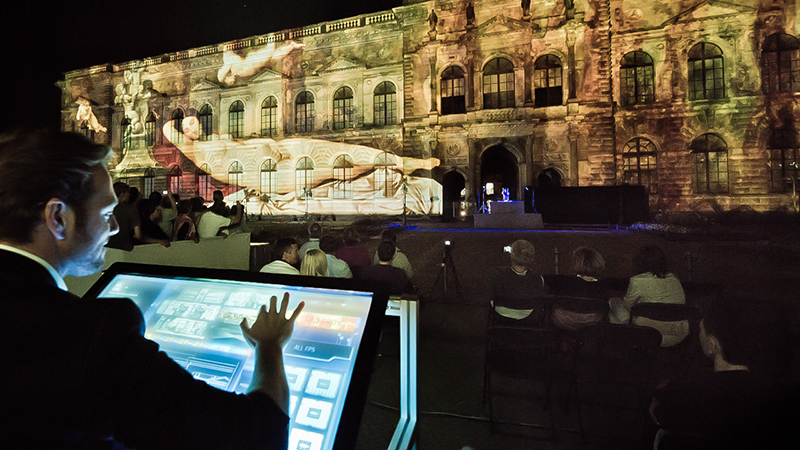 Within the Intel Ultrabook™ 3D Tour 2013, Visual Drugstore created a 3D video mapping for the famous Zwinger in Dresden. 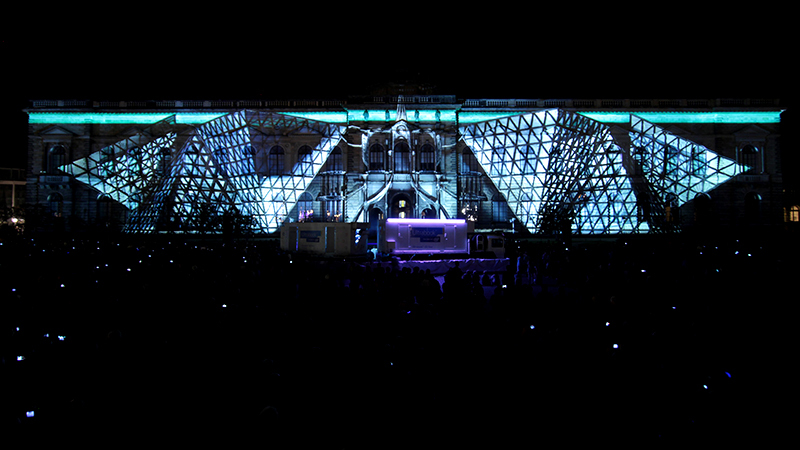 During the event the 130 meters wide and 25 meters facade was the screen for Markos Aristides Kern´s exceptional live performance in which DJ and producer Boris Dlugosch from Hamburg took the musical part. 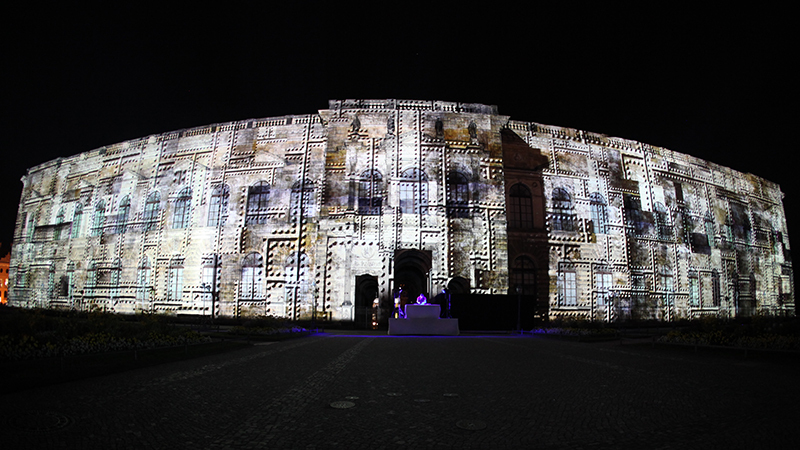 To enable the extremely high-toned projection, our software and the MMOV with it’s 36 high-performance projectors were configured to reach a consistent screening of only one point (about 50 meters away from the building). 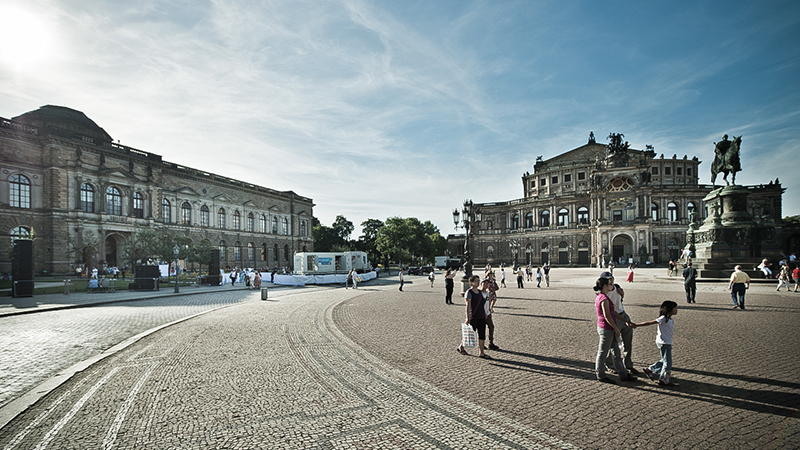 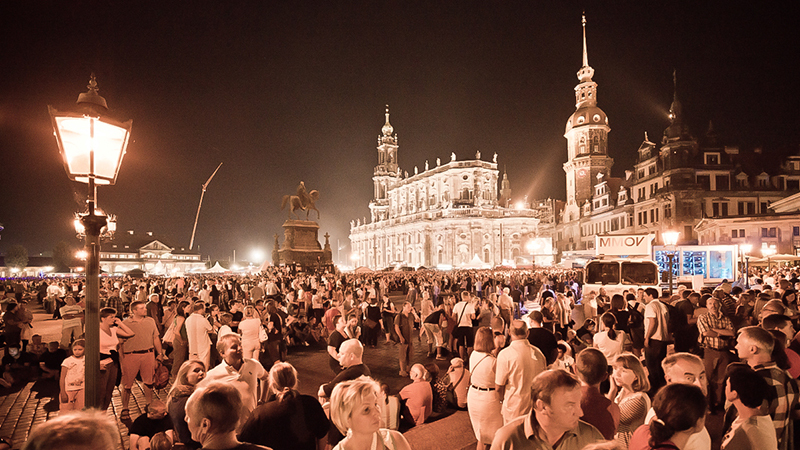 More than 70.000 visitors experienced the one-hour show, which included elements of Dresden’s history and interpretations of several artworks of old masters that are exposed at the Zwinger.